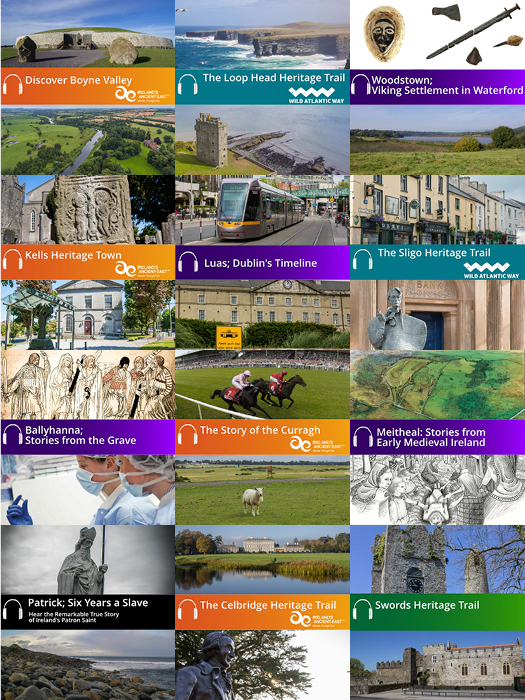 We have produced over 30 audioguides, bringing each individual story from Ireland’s past to life. Since we launched Abarta Heritage in 2012, we have become the leading provider of audio guides in Ireland. Our audio guides are expertly researched and you can depend upon them to be solid on the facts and figures. But we also understand that it takes more than just facts to tell the whole story. You also need to appeal to people on an emotional level, to help to give them a passion for the subject at hand. So we don’t think history is just about names and dates, strong men and great battles. You also need to hear all the little sidebar stories to illustrate the life of people in the past. So while we enjoy a good documentary on BBC4, we also love a bit of the Sopranos or Breaking Bad – because along with being informative, our guides should also be entertaining and full of history’s twists and turns. We use music and sound effects to convey the mood, because sometimes words are not enough. 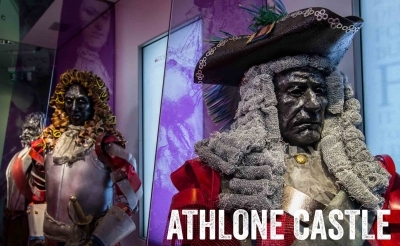 Our audio guides will put the listener centre stage and make them wonder how they would have reacted during the 1916 Easter Rising, or what life would have been like at the court of Brian Boru. 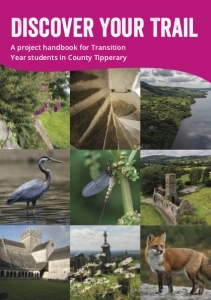 Listen for free to some of the audio guides we have produced for sites and trails across Ireland or get in touch to see how we can help to tell your stories via our contact form. 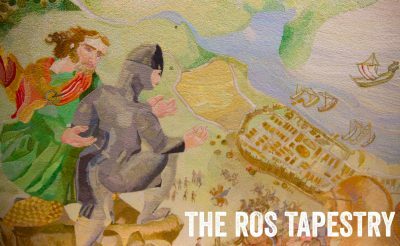 Our lovingly shot films provide information about the archaeology, history, heritage and folklore of Ireland, with short ‘interview’ type pieces to allow the local character and voices to be heard, giving these films an authentic insight into Irish heritage. Through our experience, we know that Ireland abounds with great personalities and storytellers who are keepers of our folklore and traditional past. We use the atmospheric heritage sites as the backdrop to their storytelling. Where, surrounded by the ambience of their site, the storytellers will deliver immersive and unique tales. Each of our audio-visual films will have its own strong identity, and can be translated into any language. All of our video recordings are shot in 4K resolution. This allows the video content to be flexible and tailored to be suitable for use online and offline, and on smartphones, tablets, desktops, HDTVs, projectors and all the way up to cinema screens! Watch more of our videos on YouTube or get in touch via our contact form to see if we can help you to tell your story. Interpretative panels are a mainstay of heritage sites, but there should always be a fine balance between design and information. Too much text and many people will simply walk on by, not enough information and you risk leaving people unfulfilled. 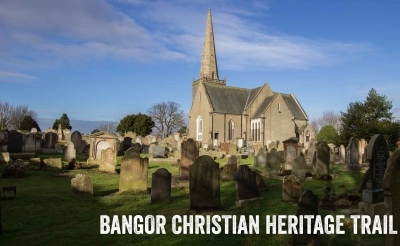 With our extensive experience in heritage interpretation, we can help you to strike the perfect balance. Our clean design style is always harmonious and appropriate for your site and theme, and we work with experienced manufacturers and installers to ensure they will remain looking beautiful for the long term. Our eye-catching design will help make the story of your site accessible and informative. Get in touch via our contact form to discuss our panel design service. 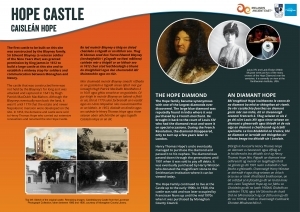 Our bespoke interpretative brochure and leaflets are designed to entice visitors to discover your story, while offering clear information in an engaging and accessible way. We can design brochures to suit any size, and offer print-ready solutions. We also custom design maps using state-of-the-art GIS software to ensure your mapping is also beautifully designed as well as being practical and intuitive. With custom designed maps and bespoke imagery, we offer exceptional value with beautiful design. Get in touch via our contact form for a quote today! With our highly qualified and experienced team, we ensure that your visitors will enjoy truly authentic and accurate information that will help to educate and inform about the significance of your site. Our interpretation content is also designed to be enjoyable and accessible, with emotional twists and turns that echo the drama of the real stories. Your visitors will be thrilled by immersive tales as they explore the wonders of Ireland. With beautiful and intuitive design, our interpretation services offer a flexible and high quality product that blends perfectly with your existing brand identity.